There are many options when it comes to choosing office furniture. At Caretta Workspace, we believe that we manufacture and offer the highest quality, most functional and attractive desks, tables, and office companion products available. Our customers all over the United States and Canada agree. Here are a few of the reasons why Caretta Workspace products are in a category of their own. 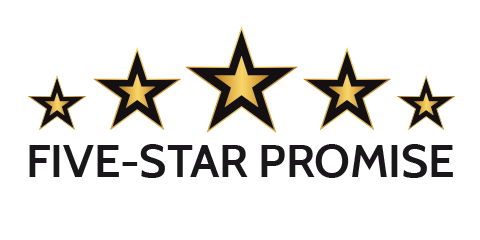 We have hundreds of satisfied customers all over the United States and Canada. We ship our products from Washington, D.C. to Washington state and everywhere in between. Caretta Workspace products can be found in the most beautiful homes, lofts, corporate offices, universities, medical, legal, government, and financial offices in the country. Preserve the beauty and neatness of your workspace. Caretta Workspace’s design conceals cables and wires in cable trays and passageways that are hidden throughout the desk. All of your equipment integrates into your desk, with just one power cable coming out. Now that’s smart! 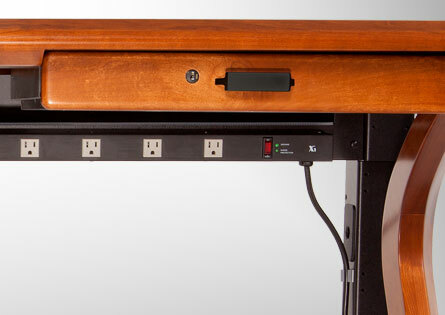 Each desk come equipped with a large surge-suppressing power strip hiding right under the desktop. 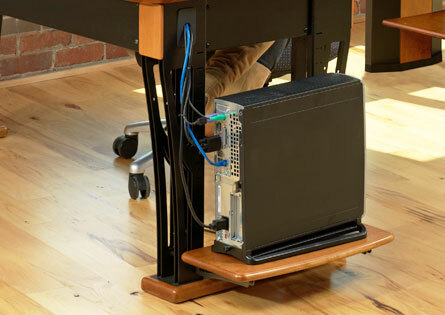 A 12, 9, or 6 outlet power strip is attached directly to the cable tray under the desk top. Plugs are spaced far enough apart so you can plug transformers side by side. There are LED indicators to show that surge suppression is active and the strip is plugged into a grounded circuit. At Caretta, we've selected the finest materials and finishes to make your functional workspace look stunning. 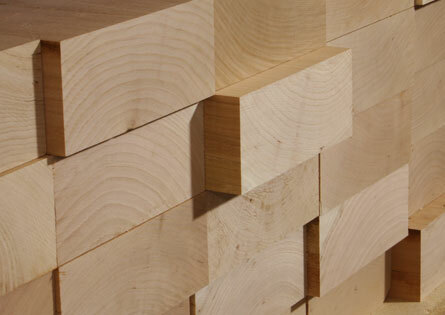 Our products feature the best American grown solid cherry or ash hardwood with unique grain patterns. It's a quality that would typically only be found in extremely high-end custom furniture manufacturers. Configure your workspace for the way that you work. Every office has its own unique requirements. With many desk accessories and companion products, you can configure your workspace to meet your specific needs. You can complement your desk with monitor arms, shelves, custom laser-engraved modesty panels, power plugs and USB ports at your desktop, and many other functional accessories. Complete your Caretta office with tables, coat trees, hutches and other unique products. 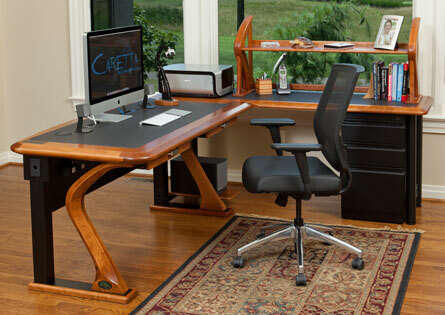 Caretta desks were designed to be easy to assemble. 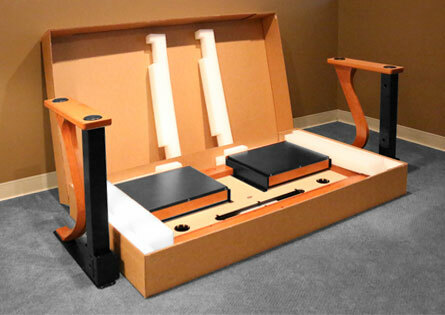 For shipping, we break down the desk into its major components: desktop assembly, leg assemblies, and cable tray. When a desk arrives, open the Desk Top box. It opens like a shirt box. Sit the legs and cable tray in place, then attach them together with a single standard size of machine screws (not wood screws), then turn the desk upright. Done! The whole process takes just a few minutes. 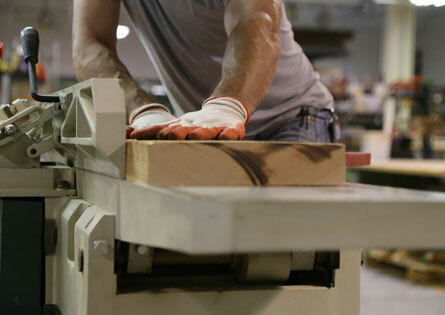 All of our desk and tables are manufactured by craftsmen at our factory in Central Ohio and shipped to customers all over the country. At Caretta Workspace, we have a commitment to give back to our community and planet. The name Caretta honors the endangered Loggerhead Sea Turtle (scientific name Caretta Caretta). 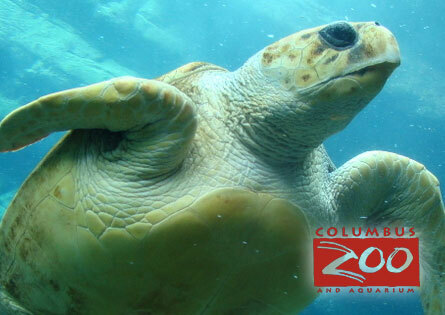 With every desk that we sell, we make a donation to the Save the Sea Turtle Fund at the Columbus Zoo and Aquarium. We have also supported cheetah conservation with the Zoo. In addition, we have supported other great programs such as: Recreation Unlimited, Dress for Success, and The Works Center for History, Art, and Technology. Add custom laser engraved graphics to your desk or table for a personalized look. You can add a corporate logo, special interest graphic, or virtually anything else to your desk. 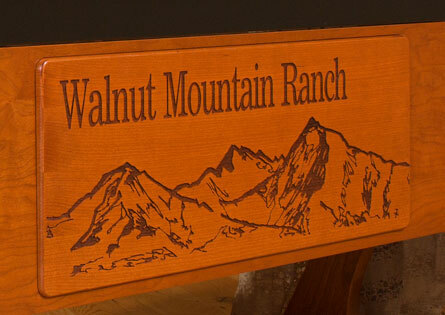 The graphic is deep laser engraved onto a solid cherry panel and inserted into a modesty panel on the front of the desk. We can also add special graphics in the desk drawers and other places.